SURPRISE! From me you get gobs and gobs of MUSIC! I’ve assembled 3 COUNT ‘EM THREE mixes of all kinds of stuff! Keep on going to find tracklists and download links for over 350MB of new music just for YOU! Because I care. This has been a year in music that I can only describe as epic. 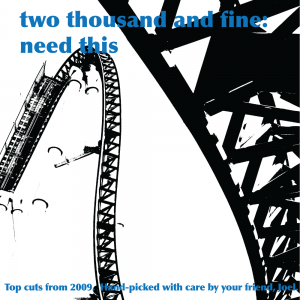 The Need This collection is a condensed, culled, carefully chosen selection of some of my personal musical highlights of 2009. A compilation of covers new and old. 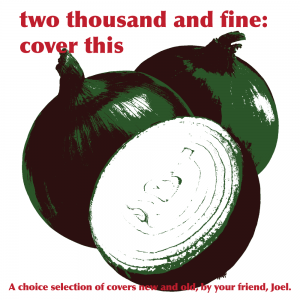 Cover This offers to your ears some new twists, added layers, and fresh sounds. A little darker, a little weirder. Hear This delves into the underbelly of the cutting edge, exploring emerging sounds in electronic music. 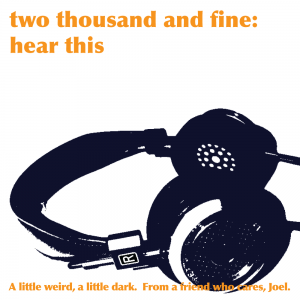 Headphones are highly recommended on this one! Who should download this: Not everybody. If you are afraid of things you don’t understand, or do not appreciate headphones as a religion, then perhaps this may escape you.